We offer short-to-long term solutions for operators in the global plastics markets – from pricing data, news and analysis, to supply and demand forecasts, ensuring you can evaluate the market from every angle. We offer the following regional Plastics analysis and news coverage to keep you informed of factors and developments affecting prices in the Global Plastics marketplace. Over 25 years of reporting on key chemicals markets, including Plastics, has brought global recognition of our methodology as being unbiased, authoritative and rigorous in preserving our editorial integrity. Our global network of reporters in Houston, London, Singapore, Shanghai, Guangzhou, Mumbai, Perth and Moscow ensures unrivalled coverage of established and emerging markets. ICIS has a wealth of information on the plastics markets, from feedstocks to derivatives, which you can access to help you evaluate opportunities and competition from a global and regional perspective. World Plastics Annual Study – a complete and comprehensive review of the global plastics industry. The study covers all major thermoplastics commodities, with analysis and information presented by commodity and region. It provides historical data from 2000 and forecasts up to 2025, giving you a view of future global demand and supply, capacity and trades. Access to this information lets you identify areas of growth, opportunities for business expansion and sources of competition in the medium to long term. 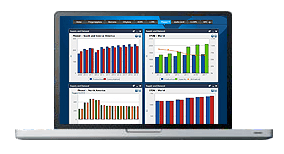 Global Supply & Demand (S&D) database – an online database service which combines fully-reconciled S&D, capacity, trade and production ownership data to give you multiple views of the marketplace. It enables you to search, shape and export historical and projected global data, giving you the insight you need to plan ahead with accuracy. Pricing information – regional price assessments and market analysis on upstream and downstream products, which are published on a daily and/or weekly basis. Our intelligence enables you to understand price drivers and fluctuations, and offers benchmarks for settling your contract prices. Historical pricing data is also available which you can incorporate into your own analytical models to guide you in forecasting. 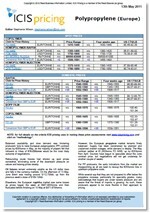 ICIS collects pricing data on a wide range of chemical, energy and fertilizer products, including Plastics. Our extensive experience in price reporting means we can offer you access to historical data dating back more than 20 years for certain commodities.